Justina's Gems has been trying a lot of foundations lately and has picked out 3 that you should try this fall! Prime Beauty has a peek at what's new for fall with the Jane Iredale Fashion Forward Take Flight Collection! Pammy Blogs Beauty scopes out Laura Mercier's 20th Anniversary Iconics Box. Lots of awesome items inside! Blushing Noir says when one of your favorite palettes DOUBLES in size with all-new shades you buy it. The Urban Decay Naked Ultimate Basics Palette is an "almost" all matte must-have! Curious about the NEW Wet N Wild $2.99 liquid lipsticks? Read how Shipra from Taneja's Bride thinks these affordable Wet N Wild Beauty Color Icon Liquid Lipsticks stand up. 15 Minute Beauty has searched high and low for a drugstore foundation to recommend, and she finally found one! Here's her favorite drugstore foundation you must try! The Barneys New York LOVE YOURSELF Beauty Bag Event is happening September 7-11, and as usual Lola's Secret Beauty Bloghas all of the details on the #AmazingGiftBag and all of the phenomenal Step-Up Gifts. You will want to bookmark this page since it gets updated all of the time. Come see why the win two of the new Bite Beauty Multisticks! Wouldn't you want to win 17 beauty prizes and maybe a $300 gift certificate to Sephora or Ulta? 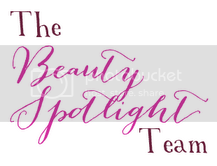 Beauty Info Zone is one of those 17 bloggers and has 4 Pixi Beauty Multibalms as their review and prize. Enter all 17 if you live in the US or Canada. It's going to be worth it. I think I might pick up the new UD palette, so pretty.